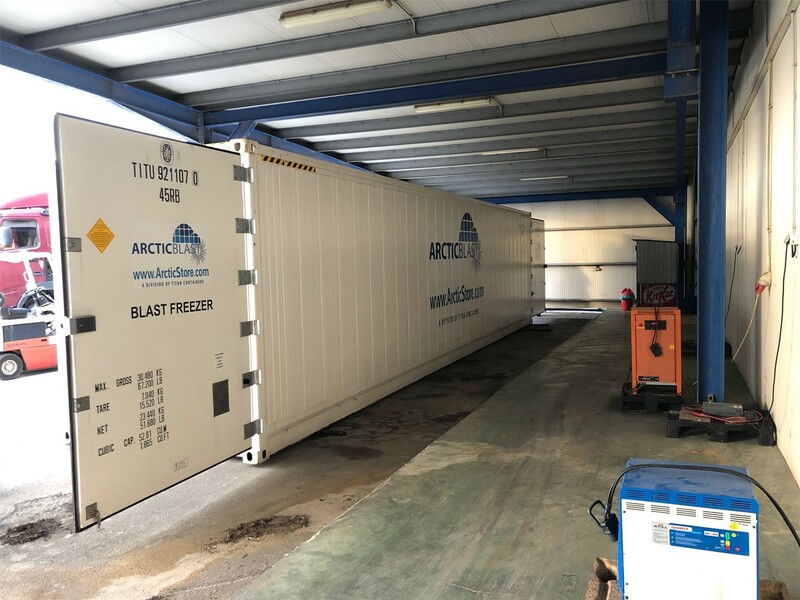 TITAN Containers Hellas commenced trading this month as the first ArcticStores™ arrived from the factory. an ArcticBlast was actually delivered direct form the arriving vessel whilst the other units were taken to our local depot. There is another shipment due to arrive next month with others planned for March and April. TITAN Containers Hellas is a JV between TITAN Containers group (one of the world’s largest privately owned container companies) and the Soutos Group, a long term player in the Greek container market. The combination of international and local knowhow brings a new dimension to the Greek container market. In addition to the ArcticStore™ range of premier refrigerated storage solutions TITAN Containers Hellas will have emphasis on many other TITAN brands including 4PEOPLE and SELF STORAGE. Over the past couple of years TITAN has delivered ArcticStore™ products to customers on Iceland. We are now pleased to inform the appointment of KAPP ehf as TITAN Containers' sole representative on Iceland. Whilst it is particularly the fishing industry that are using our products, there are many other applications including the dairy industry for our reliable temperature controlled storage solutions.